Please DO NOT purchase before sending me a message with your requirements to make sure your order can be accommodated. Depending on current work, rush orders (delivery date less than 10 weeks away) may be accommodated. 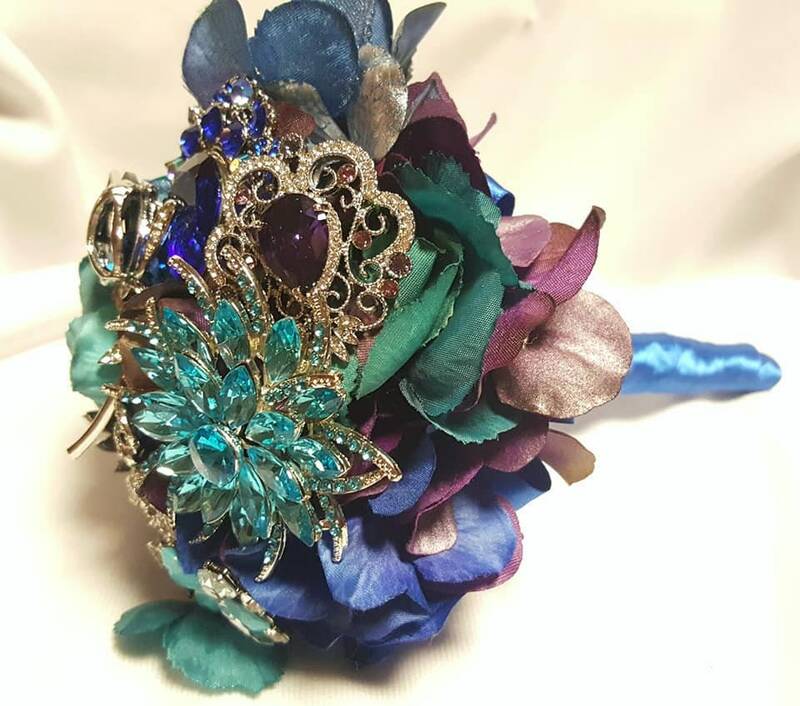 This listing is for a DEPOSIT on a custom order toss brooch bouquet similar to the one pictured. 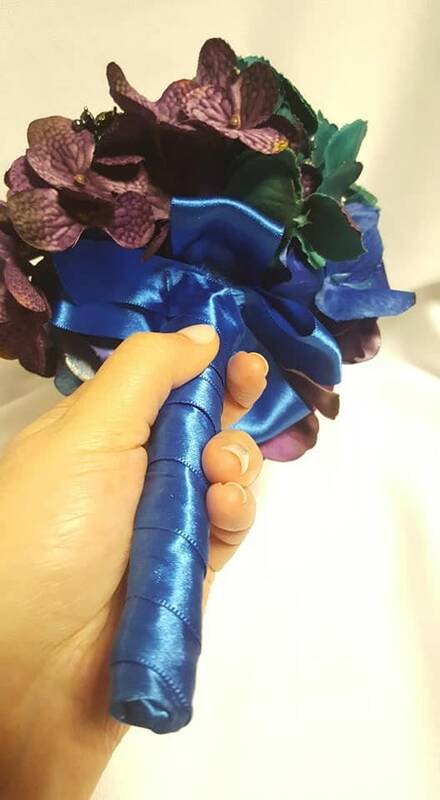 The bouquet pictured includes silk roses and hydrangeas, brooches and satin ribbons. The item can be purchased at a lower price as part of a bridal package (or it may become complimentary depending on your wedding package size). 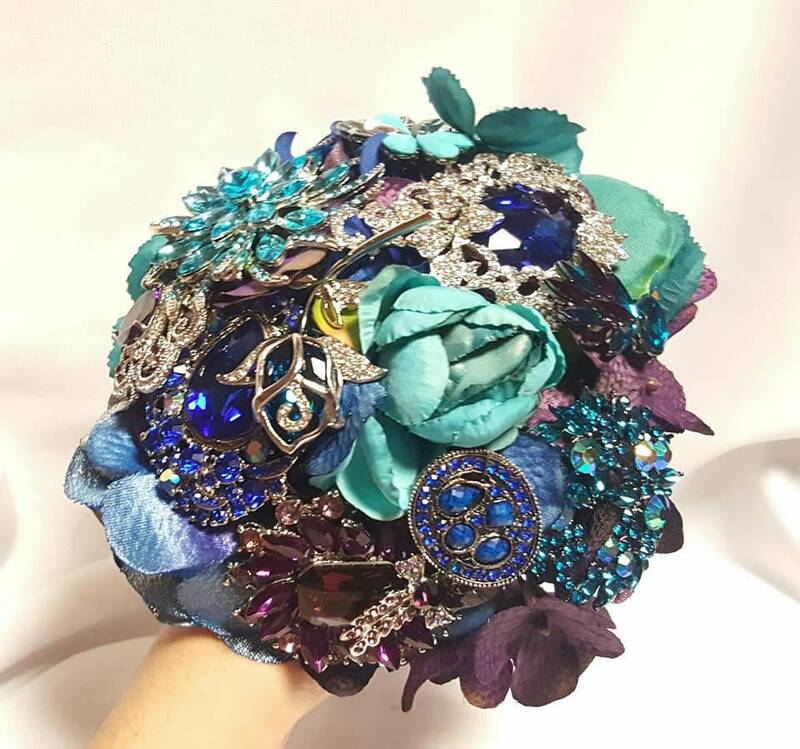 The total price for this bouquet starts at $90 for a 6" toss bouquet (bouquet pictured is 7 inch diameter). Other sizes and styles can be created. Balance will be due before the bouquet can ship. Convo me for INTERNATIONAL shipping. Shipping charges will be added to balance. Please contact me before ordering for an accurate quote based on your requirements.